In a profession when longevity is a rarity, 1. 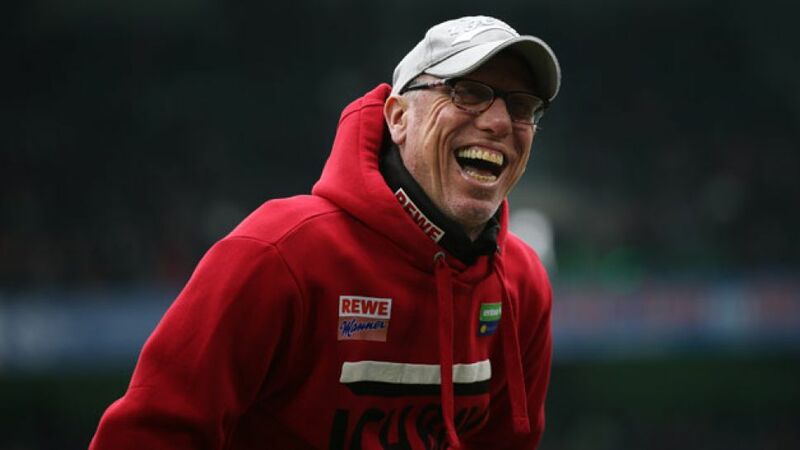 FC Köln head coach Peter Stöger celebrated his 1,000th day in charge of the Billy Goats on Wednesday, a landmark reached by just two of his predecessors in the Bundesliga era. To put the achievement into perspective only head coaches Hennes Weisweiler (1976-1980), who led the Billy Goats to their last Bundesliga title, and Christoph Daum (1986-1990), under whom Köln were a regular feature in Europe, have previously hit the 1,000-day mark in their tenure. "I'm enjoying every day that I'm allowed to be here," Stöger told the club's official website. " For me it's still something special. It's a big and exciting task to be at such a fantastic club." The 49-year-old took over at the Billy Goats in June 2013 and guided Köln to promotion in his first season in charge. However, unlike in recent seasons, with Stöger at the helm, Köln appear to have found some sense of stability and look set for an extended spell in Germany's top flight. While a record of 16 wins, 22 draws and 21 losses does not make for great reading, it would be unfair to claim that Stöger has not delivered what has been expected of him in the role and the journey appears to be far from over. "We'll hopefully see ourselves in the Bundesliga for years to come. When we've been able to remain in the Bundesliga for a lengthy period of time, we'll be measured by the amount of correct decisions which are made with the foundations that we've put in place."